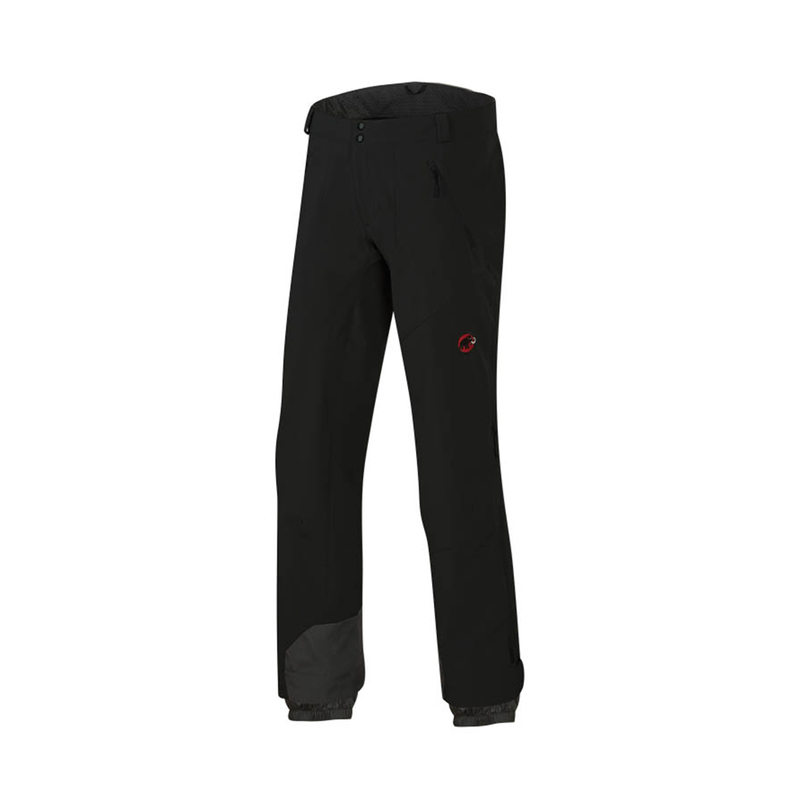 The Mammut Women’s Tatramar So Pants are technical softshell trousers for alpine skiing, and mountain hiking. The Mammut Women’s Tatramar So Pants keep the snow and harsher elements away from the wearer, thanks to their water repellent outer material and SoFtech™ 3-Layer fabric technology, so you are protected and comfortable while you are engaging in your sport. The Tatramar So Pants have plenty of pockets to keep mountain essentials close to hand, and the integrated gaiters keep out snow, mud and excess water, increasing the usability of this technical trouser. These are pretty hardy ski trousers, and yet maintain excellent breathability through two side ventilation zips for when your work is more cut out. SOFtech™ 3-Layer is a softshell fabric designed to provide the wearer with excellent protection against the wind and harsher conditions, due to its clever composition and lamination process. SOFtech™ 3-Layer is not only wind resistant, but is made in such a way that it keeps consistently breathable and comfortable. This fabric has fast-drying properties, as well as being hardy when in contact with rougher surfaces.